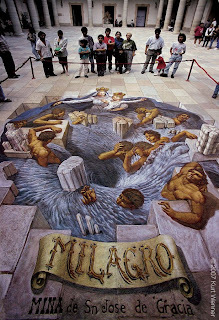 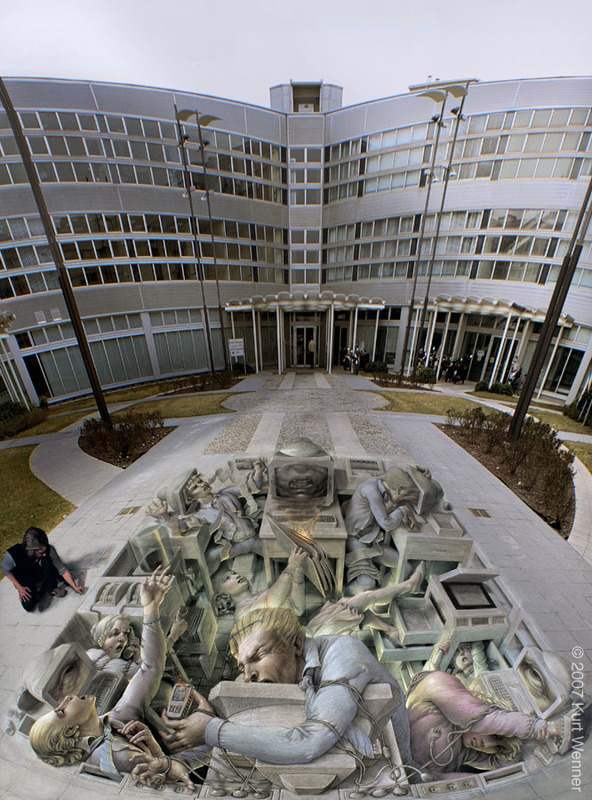 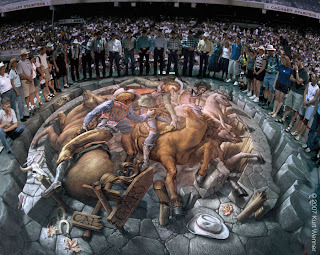 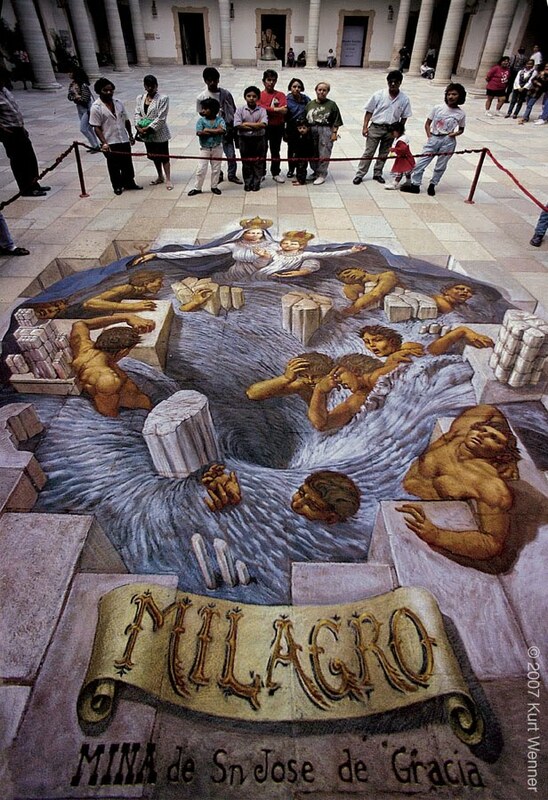 Kurt Wenner, born in Ann Arbor, is one of the famous street artists today. 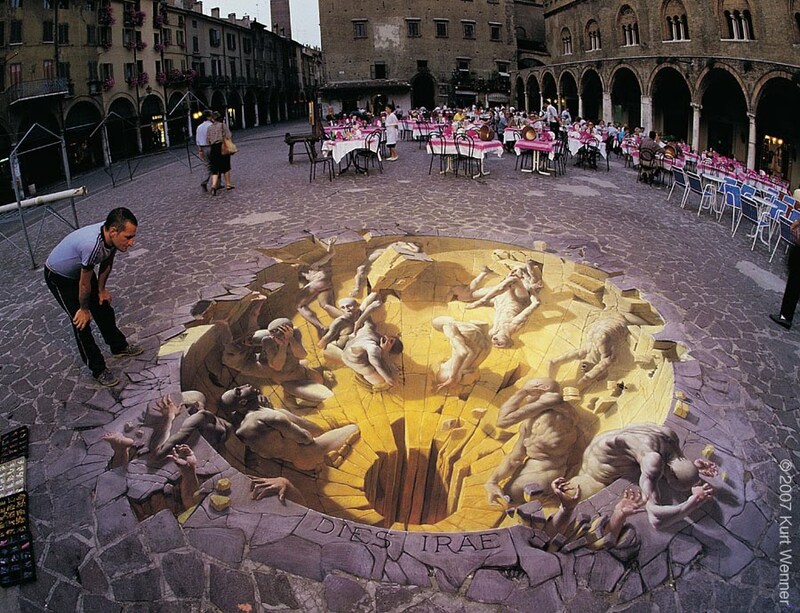 He sold his first commissioned work at the age of sixteen and was already earning a living as a graphical artist at the age of seventeen. 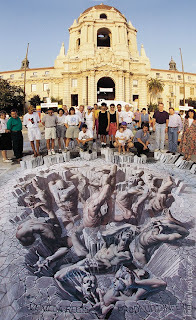 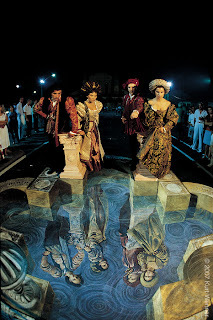 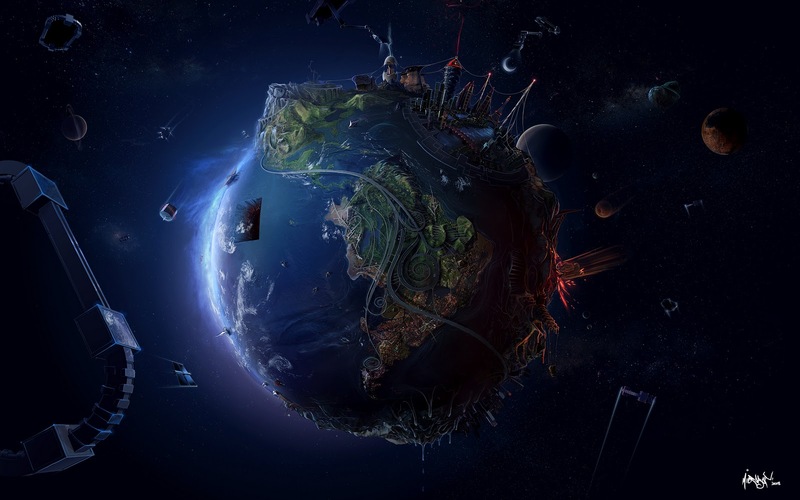 Kurt Wenner went on to become a Nasa illustrator but eventually decided to advance his skills by studying art in Italy. 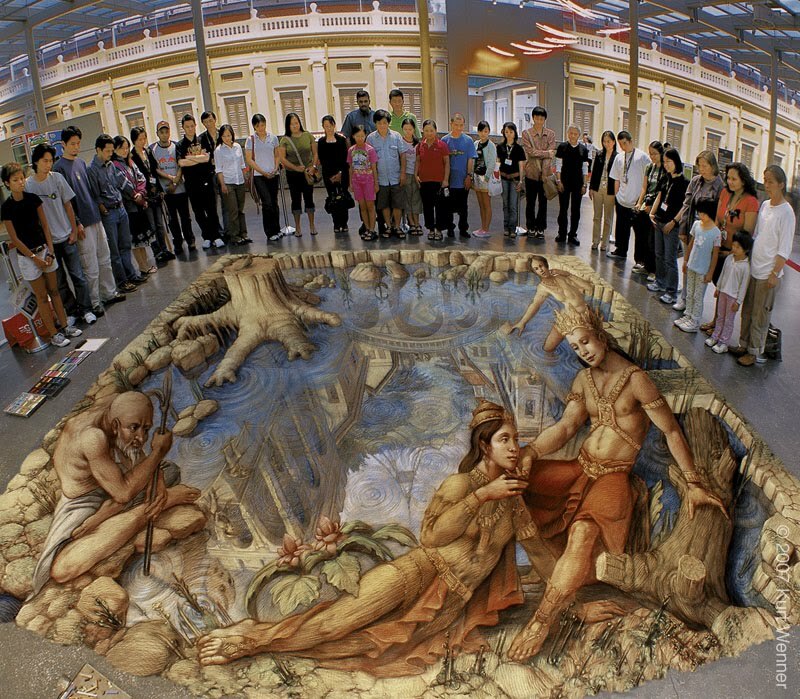 His studies paid off as he created masterpieces that gained world wide recognition. 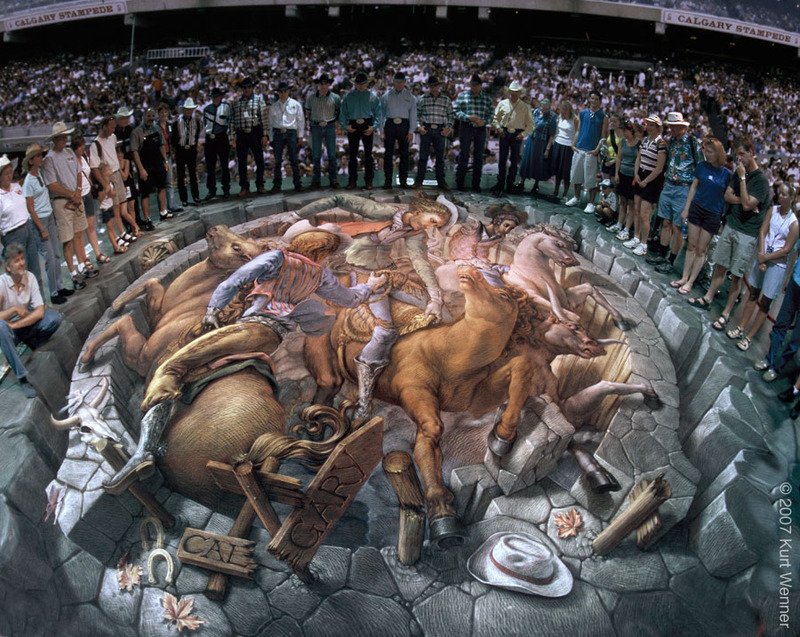 The spectators really puts the work into perspective. 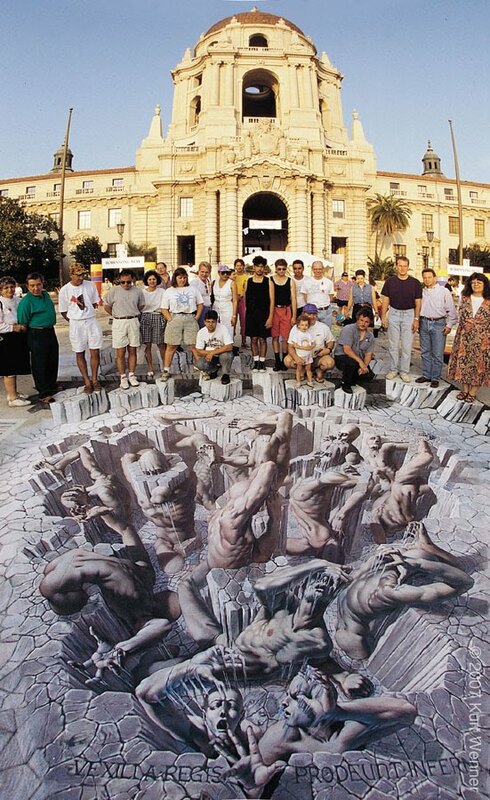 Due to the property of anamorphosis, the spectator's view of the art piece is probably distorted. 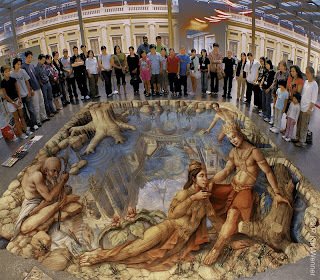 The entire image looks stretched unless the person is standing at the correct angle.